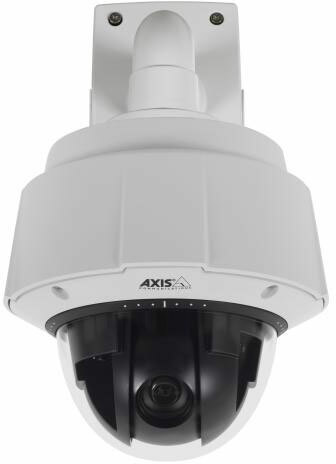 For the highest video quality and performance, Axis Q6035-E PTZ Network Dome is the choice. Designed for the most demanding applications, the outdoor-ready PTZ dome provides HDTV coverage of large areas, great details when zooming in, and high-speed pan/tilt performance. It is ideal for city and perimeter surveillance, as well as at airports and seaports. Due to the HDTV 1080p resolution, the camera"s 20x optical zoom with autofocus provides extremely detailed zoomed-in views that are comparable to a 4CIF-resolution camera with more than twice the optical zoom. 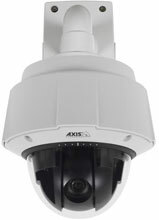 Axis Q6035-E PTZ Network Dome supports day/night functionality for clear video even in low light conditions, and wide dynamic range for better visibility of objects in dark and light areas of a scene. Q6035-C NETWORK CAMERA 1080P, 18X, RATED UP TO 167 DEG.